In the pitch, Fink & Fuchs was able to prevail against well-known agency competitors from the technology and consumer sectors. One focus of product and brand PR will be on smartphones. In addition, Fink & Fuchs will focus on positioning HTC solutions for Virtual Reality (VR) and 5G technology. With the Vive product group, HTC primarily addresses the high-end segment of VR applications. Experts project dynamic further development for the application scenarios of VR in the end customer sector as well as in the corporate environment. Besides media relations, HTC will also be relying on Fink & Fuchs’ expertise in the areas of content and digital marketing as well as creation. “With Fink & Fuchs, we have brought real experts for the communication of technology and innovations on board,” said Nadine Dörfler, Head of Marketing for Western Europe at HTC. The two companies are united by the continuous further development in the field of technology. 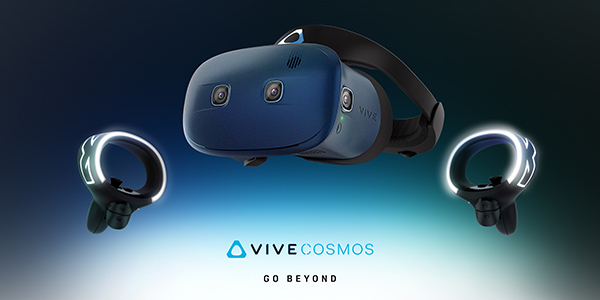 “This cooperation has the potential to successfully further develop the perception of HTC in very dynamic market segments with new ideas.” Fink & Fuchs already accompanied the new product announcements at CES in Las Vegas, including the launch of the new VR model VIVE Cosmos. “Virtual reality and 5G technology in particular are very exciting topics with great momentum. We are pleased to support HTC with the resulting communicative tasks,” says Michael Grupe, Board member of Fink & Fuchs. “We have put together an interdisciplinary team for HTC that understands the different communication and marketing disciplines as well as the positioning of new technologies in the consumer and B2B environment,” he added.